Back in the fall, Vancouver rapper SonReal took us traveling with his video for "Preach," but now he's highlighting his home city with a trailer for a new EP called For the Town. The clip consists of a single dramatic shot in which SonReal sings and raps an a cappella version of his song "Home." 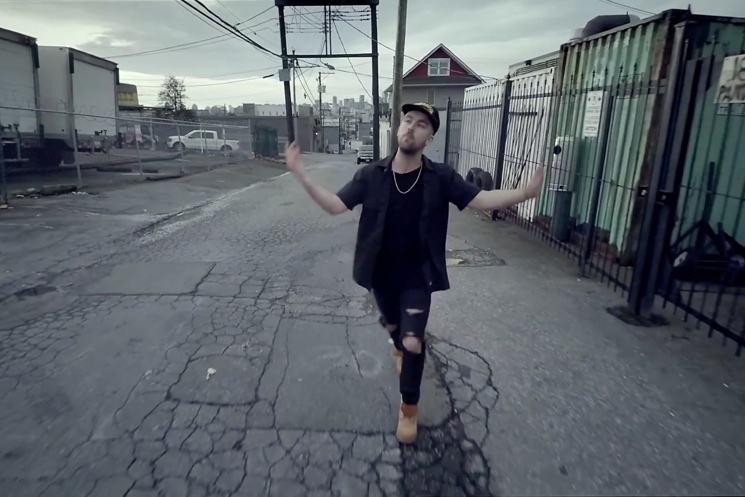 It begins with an aerial view of Vancouver before the camera descends and we see SonReal in an alley. Eventually, we hear a snippet of the studio version of "Home" as the camera ascends once more. It was directed by Darren Rayner, Dane Collison and Byron Wilson, and the ariel shot was achieved with a drone. Check it out below. For the Town comes out on April 28 and includes "Preach" plus the previously released "Everywhere We Go" and more.